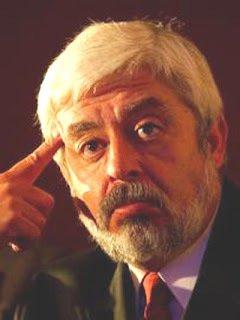 Frankly, it’s preferable Jaime Maussan’s courage, although most of the times he is labeled as a gullible man, than the cowardice of many skeptics that do not dare to propose new ideas and simultaneously criticize harshly those investigators who propose new paradigms. The only problem with Jaime Maussan is that he didn’t use his common sense and a “balanced skepticism” in all the times he investigated the UFO phenomenon. How is it possible that an expert ufologist has been deceived by children? And How can he say that flying horses exist? The answer very is simple: His eagerness to be convinced of something strange, disconnected his analytic mind and automatically his impulsive mind made him accept something that was clearly incoherent. In Mexico there is a new controversy about a video in which the hand of an alleged extraterrestrial is trying to touch the are of a boys that was playing there. The video was recorded with a cell phone. But it seems that everything was a joke that reached great proportions because of the ingenuousness of the ufologist Jaime Maussan. Nevertheless, the physicist and astronomer Jorge Guerrero declared that he found radiactivity in that place. Here is a brief account of the facts: Alien Encounter Filmed in Mexico? Interlocutor: Personally, I believe that these boys deceived Jaime Maussan, however, one always expect a great revelation. Ruanel: Everything is a fraud. Interlocutor: How did Jaime Maussan fall into that silly trap? Ruanel: His same avidity to believe doomed him. There are many people that are desperate to believe in something and they look forward to finding any confirmation at all costs, this leads to an analytic disconnection and their impulsive minds make prey of them. Then, they believe anything they have in front of them, even if it’s something ludicrous. Interlocutor: Are the spirits of error harassing Jaime Maussan in the same way that they harass Uri Geller while he bends teaspoons making him believe that he has mental powers? Interlocutor: How was this whole matter? Were these boys playing with a cell phone and one of them pretended to see something so silly as a hand of an alien trying to catch him? Ruanel: It was simply a childish game and the children didn’t expect that limitless repercussion. Interlocutor: Didn't they want to trick Jaime Maussan? Interlocutor: Was one of the boys the one that made the prank in order to scare the others? Were they combined? Ruanel: No, the other boys didn't know anything, it was a joke of one of the boys, and later on the great repercussion came. Interlocutor: Then all the boys became accomplices? Interlocutor: Did they want to get money from Jaime Maussan? Ruanel: No, they were not interested in money, but in the joke. Don't forget that they were children. Interlocutor: If they had known the repercussion that this event would have reached, would they have done it? Interlocutor: Are the boys scared now? Ruanel: No, but they don't want to speak of the matter and they keep their secret, like those higher grades in school that keep silence on what they do. Interlocutor: I understand. But I have understood that they said the truth to some journalist. Ruanel: Yes that is correct. Interlocutor: Is there something more about this matter? This entry was posted at Thursday, April 29, 2010 and is filed under Who are they? . You can follow any responses to this entry through the .